Did The Beginning of Natasha Allegri's Adventure Time: Fionna And Cake #1 Cause You To Sniffle? Home » Comics » Did The Beginning of Natasha Allegri’s Adventure Time: Fionna And Cake #1 Cause You To Sniffle? Did The Beginning of Natasha Allegri’s Adventure Time: Fionna And Cake #1 Cause You To Sniffle? Okay, I wasn’t quite expecting that. And much of the comic is devoted to the silly quirky freaky Adventure Time worldiness (inlcluding swords made out of kitty litter). Now Adventure Time can and does go into some very odd places. 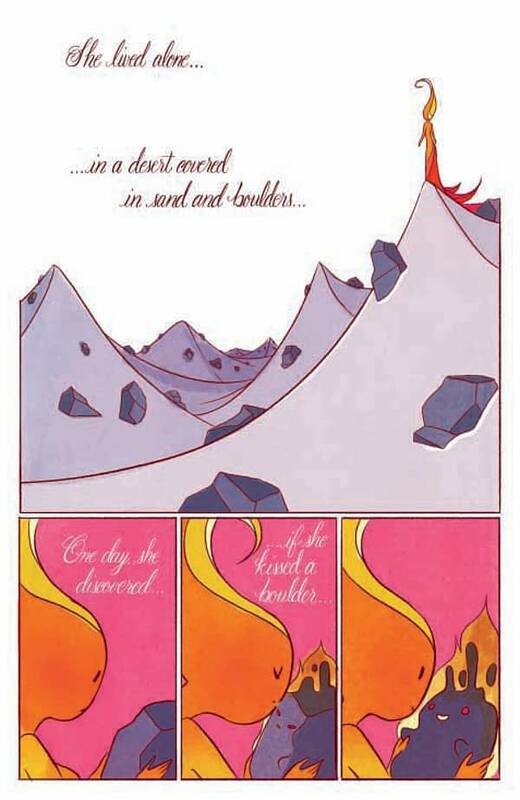 But the beginning of Adventure Time: Fionna And Cake #1 by Adventure Timester Natasha Allegri? I wasn’t expecting this.